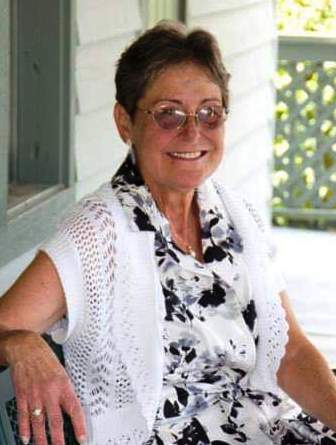 Shelley Anita Turner (King), age 61, of Nebo, NC, passed away on Thursday, November 22, 2018 at the JFK Solace Center in Asheville. She was born on October 4, 1957 in Deland, FL to the late Charles Edward King and Frances Louise Harper of AK. Shelley was a homemaker for her family. Along with her mother, she is survived by her husband, Eddie Turner; her sons, Courtney Boyd of Valdosta, GA, Aaron Boyd of Valdosta, GA, Tyler Boyd of IA, and A.J. Durham of Marion, NC; her daughter, Sarah Boyd Smith (Charlie) of Asheville, NC; her brothers, Al King of York, PA and Brian King of Myrtle Beach, SC; her sister, Denise Whitlow of York, PA; and her five grandchildren. A memorial service will be held at 2:00pm on Saturday, December 8, 2018 in Penland Family Funeral Home Chapel. The Rev. Dr. Jeff Dowdy will be officiating. Penland Family Funeral Home is honored to be caring for the Turner Family.